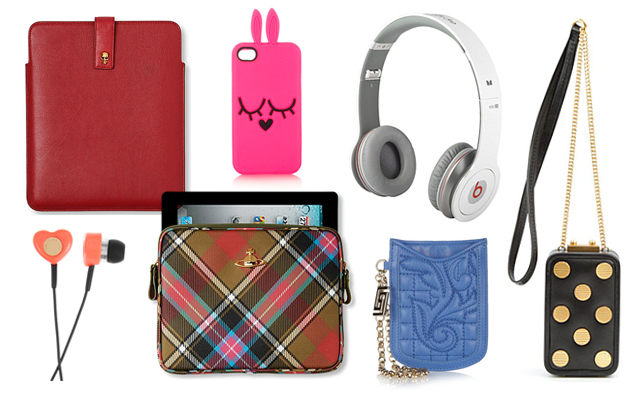 Alexander McQueen Tablet Case | Marc by Marc Jacobs Phone Case | Beats by Dre Headphones | Marc Jacobs Box iPhone Bag | Versace Iphone Case | Vivienne Westwood iPad Case | Marc by Marc Jacobs Headphones. Since Christmas Gift Guides seem to be everywhere, I thought I would jump on the band wagon and create my own too. It's not clothing nor cosmetics, it's technology accessories. Over 90% of women own either a smartphone, a tablet or a computer making these wonderful things desirable. Who said gadget accessories are for men only? Treat your wife, daughter, sister, girlfriend.... to something she will use, something she will love. Yayy, I asked you to do a Christmas Gift Guide on youtube and you really did it. Thank you so so much. I love your gift guide. Hi Suzi, I love your videos so so much. You are my favourite youtube beauty guru. I never travel in my life. I was thinking...maybe you can do some "Travel with me" videos if you want to do it. It would be great for me & others who never travel in their life to see the world. Thank you. London seem to be beautiful. These are such good gift ideas! the phone case is so cute! Love the marc jacobs iphone bag! I adore the Marc Jacobs earbuds! And I've been wanting beats so bad! The Vivenne Westwood ipad case is so pretty! I featured one of her purses with the trade mark orb on my Christmas Wish List on my blog - check it out! Some gifts are priceless like emotions, care and integrity. I like your selection these gifts make your relation more beautiful and enhance the latest best computer tips trickslove between your love ones. Thank you for the post.